1991年（平成 3年）3月 京都大学 工学部 数理工学科 卒業. 1993年（平成 5年）3月 京都大学 大学院 工学研究科 数理工学専攻 修士課程修了. 1994年（平成 6年）3月 京都大学 大学院 工学研究科 数理工学専攻 博士課程中退. 1994年（平成 6年） 4月 京都大学 工学部 数理工学科 助手. 1996年（平成 8年） 4月 京都大学 大学院 工学研究科 数理工学専攻 助手. 1998年（平成10年） 4月 京都大学 大学院 情報学研究科 数理工学専攻 助手. 2000年（平成12年） 4月 京都大学 大学院 情報学研究科 数理工学専攻 講師. 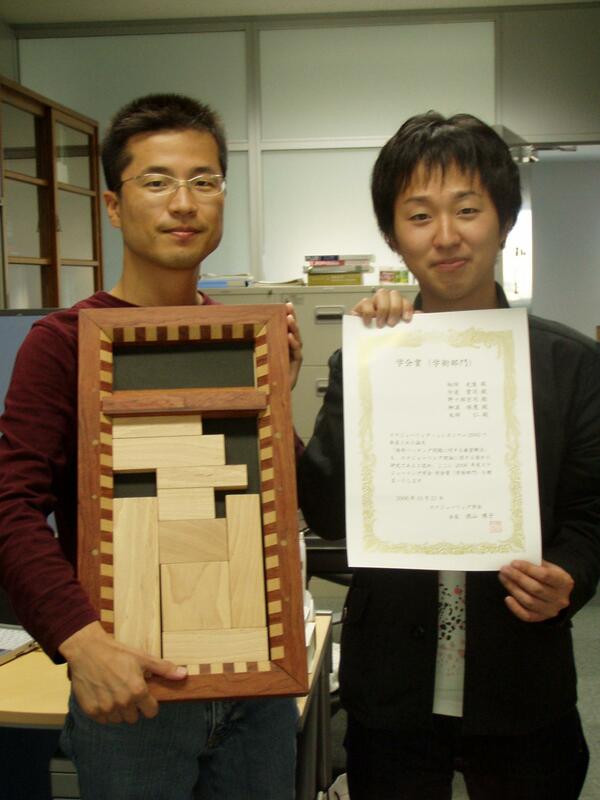 2005年（平成17年）10月 名古屋大学 大学院 情報科学研究科 計算機数理科学専攻 助教授. 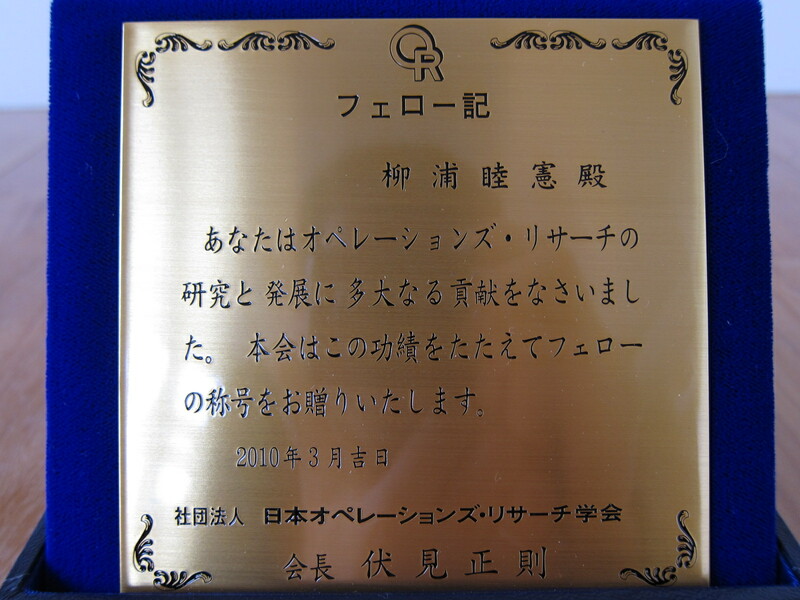 2007年（平成19年） 4月 名古屋大学 大学院 情報科学研究科 計算機数理科学専攻 准教授. 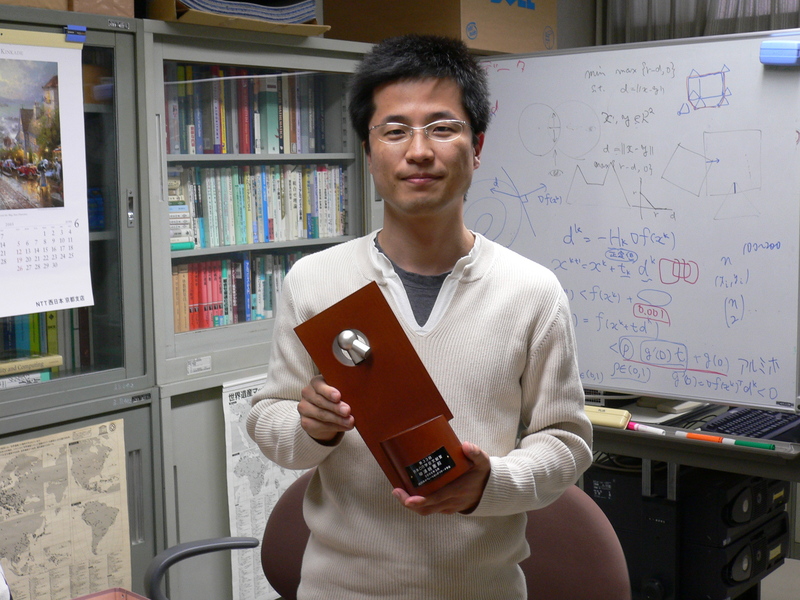 2011年（平成23年）10月 名古屋大学 大学院 情報科学研究科 計算機数理科学専攻 教授. 2017年（平成29年） 4月 名古屋大学 大学院 情報学研究科 数理情報学専攻 教授. 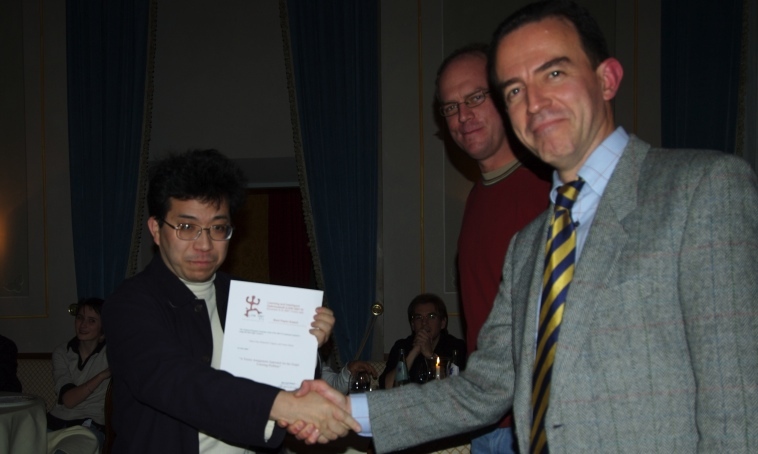 SCI2003: the best paper presented in the session: Mathematical, Optimization, Simulation and Modeling, 2003年7月受賞, 受賞論文: S. Imahori, M. Yagiura, S. Umetani, S. Adachi and T. Ibaraki, Local search algorithms for the two dimensional cutting stock problem, Proceedings of the 7th world multiconference on systemics, cybernetics and informatics, Volume IX, 2003, pp. 334-339. FIT 2009 論文賞，2009年9月3日受賞， 受賞論文: 田中勇真，佐々木美裕，柳浦睦憲， An LP-Based Heuristic Algorithm for the Node Capacitated In-Tree Packing Problem, 研究室にて. スケジューリング学会 学術賞，2009年9月17日受賞， 受賞論文: 今堀慎治，柳浦睦憲， 大規模な長方形配置問題に対する実用的解法， 授賞式の様子， 研究室にて. Discrete Optimization Top Cited Article 2005-2010, 2010年8月受賞， 受賞論文: H. Hashimoto, M. Yagiura and T. Ibaraki, An Iterated Local Search Algorithm for the Time-Dependent Vehicle Routing Problem with Time Windows, Discrete Optimization, 5 (2008) 434-456. 表彰状. スケジューリング学会 学術賞，2010年9月10日受賞， 受賞論文: H. Hashimoto and M. Yagiura, An LP-based algorithm for scheduling preemptive and/or non-preemptive real-time tasks. 授賞式の様子， 学会長(左，表彰式当時)と橋本君(右). 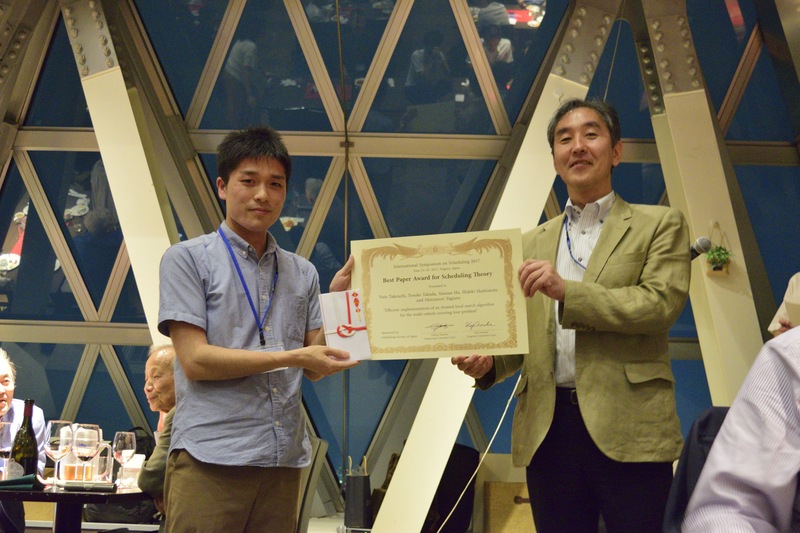 ISS 2013 best paper award for scheduling theory, 2013年7月19日受賞， 受賞論文: Y. Hu, H. Hashimoto, S. Imahori and M. Yagiura, Efficient construction heuristic algorithms for the rectilinear block packing problem, Proc. 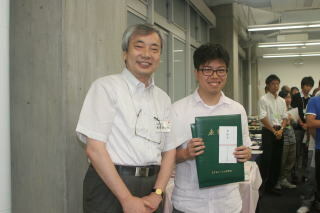 International Symposium on Scheduling (ISS 2013), Tokyo, Japan, July 18-20, 2013, pp. 80-85. 授賞式会場にて， 盾, 盾. 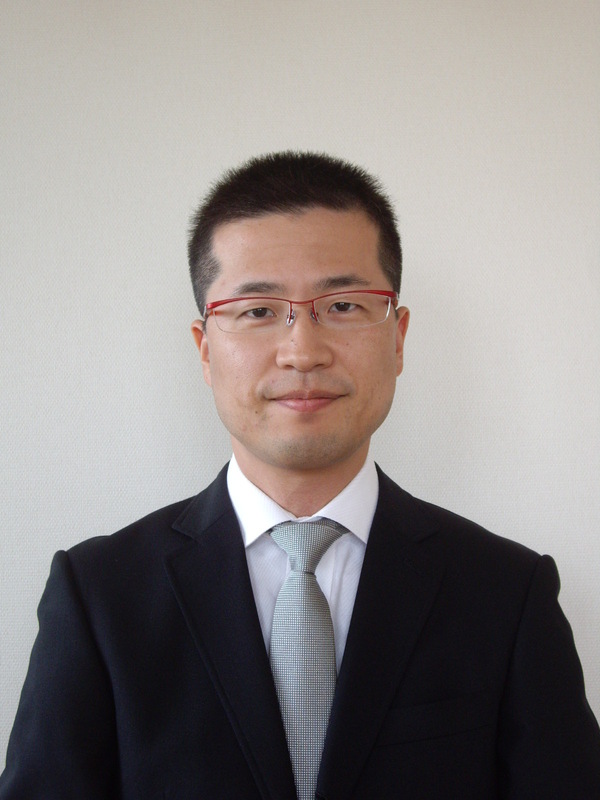 Outstanding Paper Award, 2014年12月11日受賞， 受賞論文: W. Wu, M. Iori, S. Martello and M. Yagiura, Algorithms for the min-max regret generalized assignment problem with interval data, Proceedings of the IEEE International Conference on Industrial Engineering and Engineering Management (IEEM), Selangor, Malaysia, December 9-12, 2014, 授賞式， 賞状， 呉君. 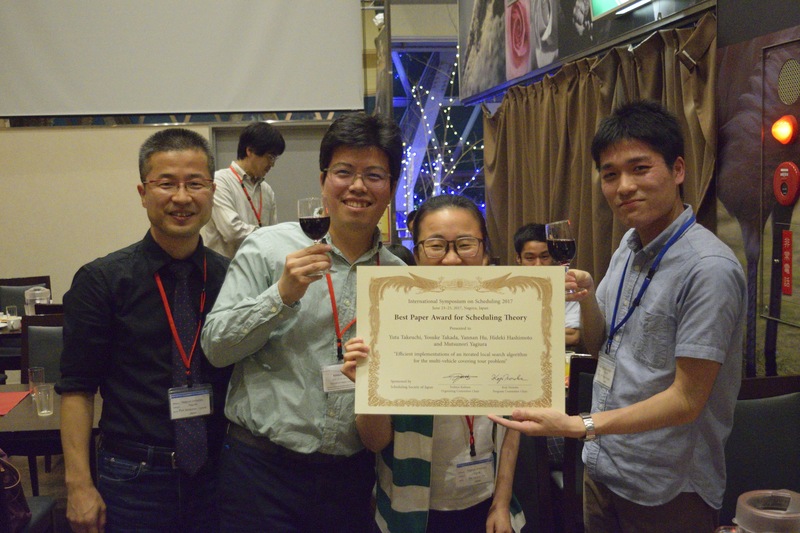 Third Prize, Challenge ESICUP 2015 - Container Loading, Short Runtime Competition, 2015年3月30日受賞， H. Iwasawa, Y. Hu, H. Hashimoto, S. Imahori, M. Yagiura, ESICUP Meeting, Portsumouth, UK, March 29-31, 2015, 授賞式, 授賞式, 授賞式. 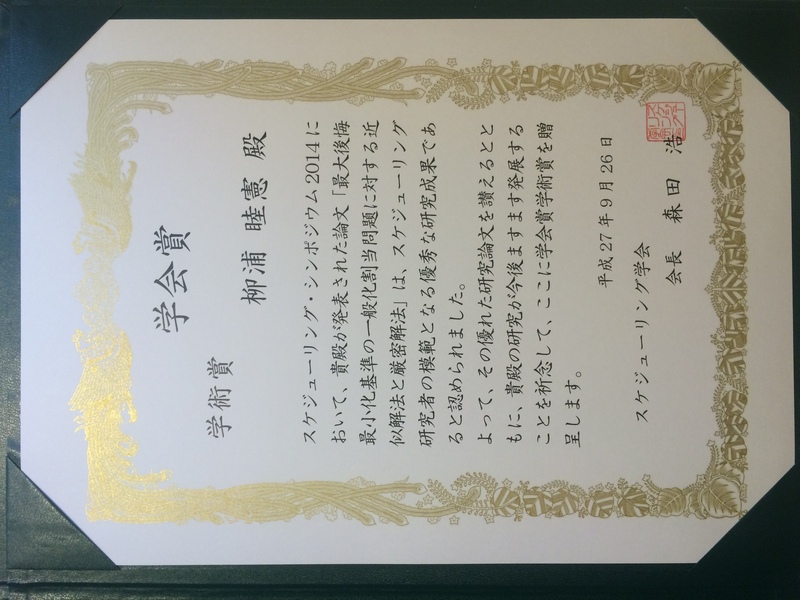 ISS 2015 best paper award for scheduling practice, 2015年7月5日受賞， 受賞論文: W. Wu, Y. Hu, H. Hashimoto, T. Ando, T. Shiraki and M. Yagiura, A heuristic algorithm for the crew pairing problem in airline scheduling, Proc. International Symposium on Scheduling (ISS 2015), Kobe, Japan, July 4-6, 2015, pp. 121-128. 授賞式， 授賞式， 授賞式， 授賞式会場にて， 授賞式会場にて， 授賞式会場にて， 賞状. 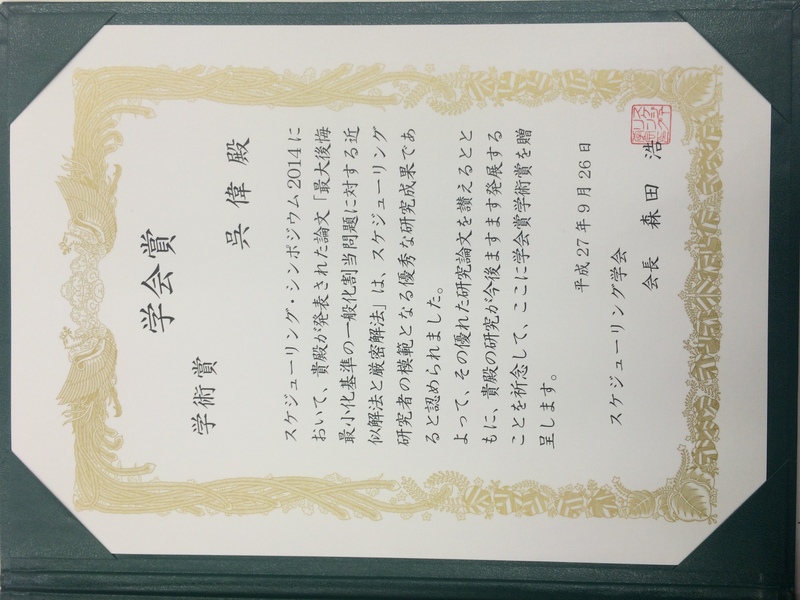 スケジューリング学会 学術賞，2015年9月26日受賞， 受賞論文: 呉, M. Iori, S. Martello, 柳浦， 最大後悔最小化基準の一般化割当問題に対する近似解法と厳密解法． 賞状， 賞状. 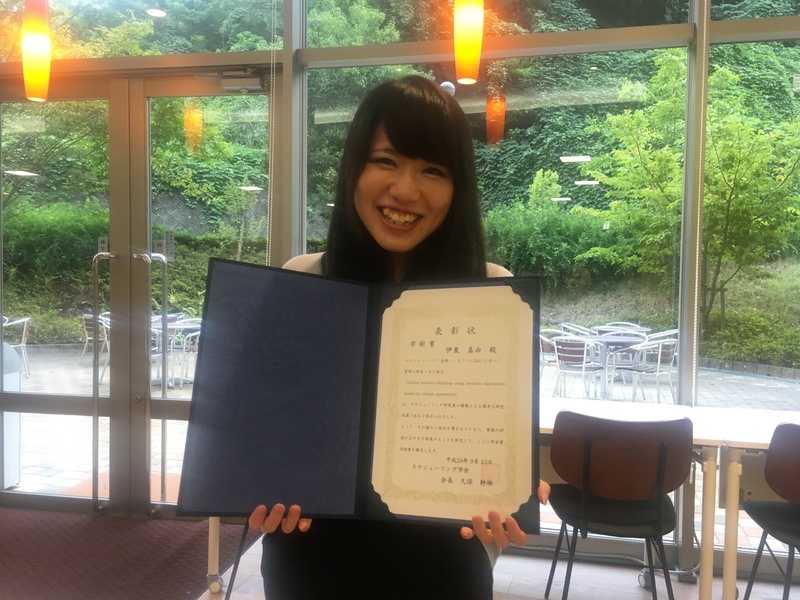 スケジューリング学会 学術賞，2016年9月24日受賞， 受賞論文: 澤井，胡，呉，橋本，加藤，斉藤，柳浦， バス乗務員スケジューリング問題に対する列生成アプローチ． 賞状， 授賞式会場にて, 授賞式会場にて. 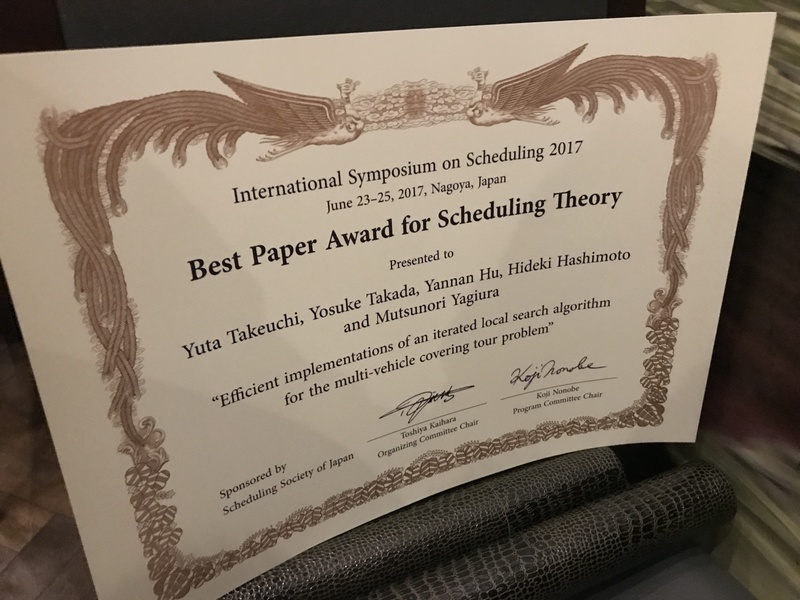 ISS 2017 best paper award for scheduling theory, 2017年6月24日受賞， 受賞論文: Y. Takeuchi, Y. Takada, Y. Hu, H. Hashimoto and M. Yagiura, Efficient implementations of an iterated local search algorithm for the multi-vehicle covering tour problem, Proceedings of the International Symposium on Scheduling (ISS 2017), Nagoya, Japan, June 23-25, pp. 79-86, 2017. 賞状, 授賞式会場にて: ISS組織委員長と高田君， 共著者.